Let’s look some more at the landing page for Brainy Baby. Let's drop below the fold. Note the sidebar that’s stacked with testimonials...and corresponding photos. Also note the clear typesetting. Nothing fancy or creative…just clear type. Red headlines. Black body copy. 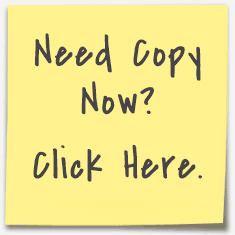 The copy is written for the scanner and the reader who wants more. The first three paragraphs use a classic journalistic technique. Provide a ‘hook’ in the first paragraph. Again…it’s a superb landing page and there’s more to come as we scroll down some more tomorrow. Click the thumbnail for the full view.